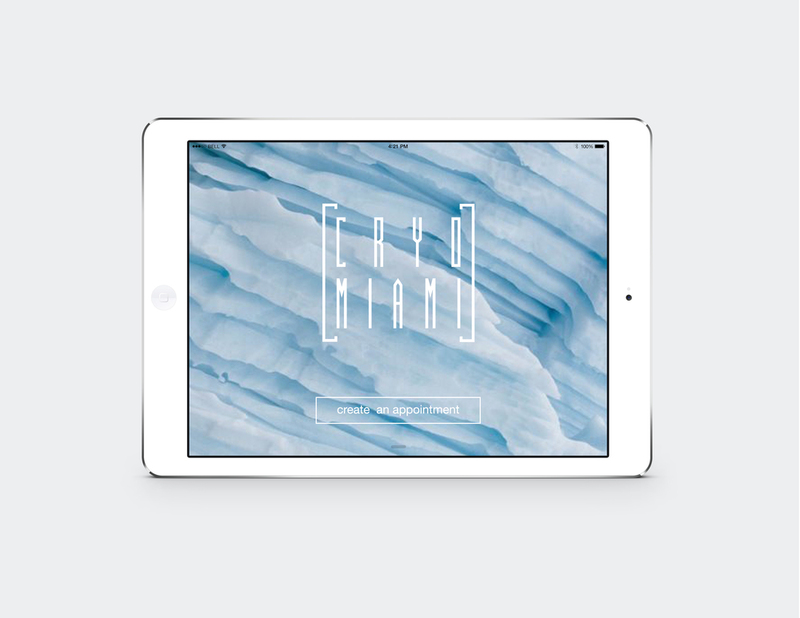 Working with co-founder and fellow Dark Matter Collective designer, Mai Sari, we designed the branding for a cryotherapy spa in Miami’s Coconut Grove neighborhood. The clients wanted to stray away from typical Miami styles and stay modern and cool with their image. 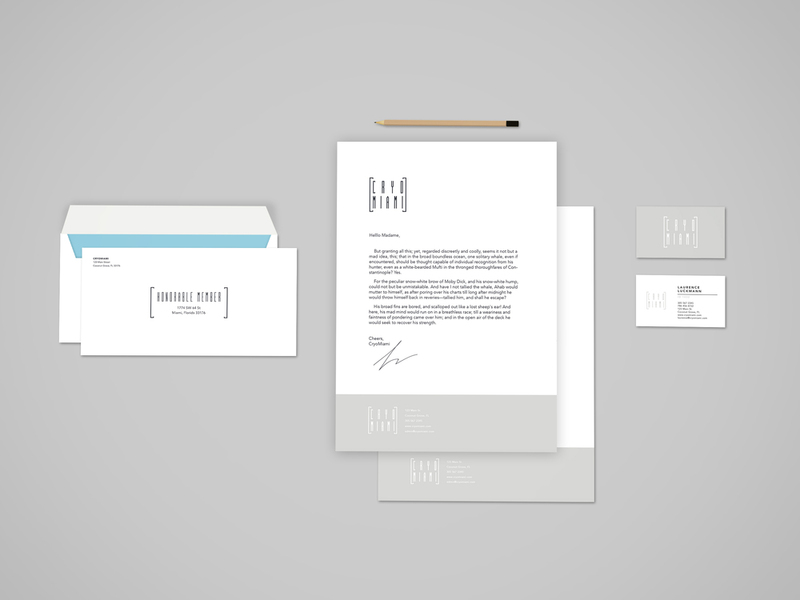 After designing the logo, we created their brand guidelines, and their stationary. At the bottom of the process images you'll find the final direction the clients went with. Focusing on nitrogen's role within cryotherapy we went through a series of concepts highlighting its different properties. The iceberg, thermometer, the cryotherapy chamber, and chemical structure were all elements we considered while working on the identity. Below is a more in-depth description to each direction. Aside from being a visual hinting to the physical nature of their service, the thermometer presented a graphic shape to play with and represent Cryomiami outside of a logotype. Although the client wanted to maintain an emphasis on typography, we felt the chemical structure was a concept that needed to be explored. The brush stroke created possibilities to introduce a Cryomiami mark with its texture resembling the slabs and cracks found within icebergs. It would work as an element to be displayed with or without its logotype. With time, it would become recognizable as the Cryomiami stroke. This concept resembles the ridges and cracks present in icebergs. The shift made it seem as if you were viewing the name through water or a slab of ice. This concept presented a successful way to visually represent "freezing" in a subtle way without the use of other elements of graphics. The brackets presented a visual for the physical chamber you go into for a cryotherapy session. 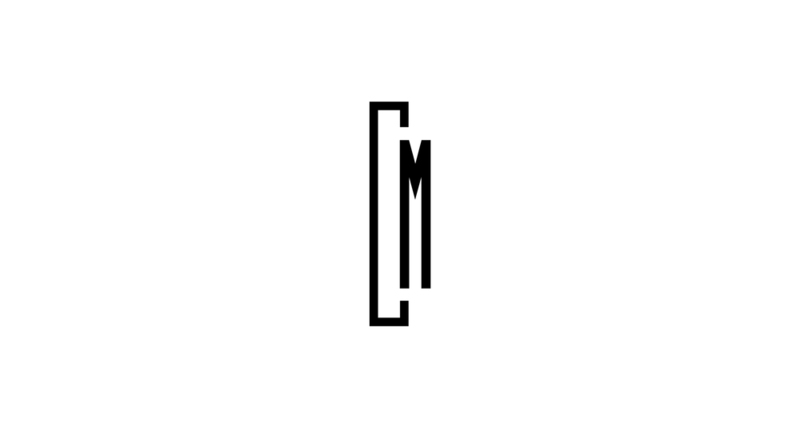 Graphically, they're also a repetition of the letter C within the logotype. This was the final direction our client chose to go with.